Cache is the temporary data stored by an application in your phone's memory. In order to enjoy smooth and hang-free experience, you have to clear cache in TikTok from time to time. There are different ways to clear any application's cached data but TikTok provides and easy and accessible option to do so. 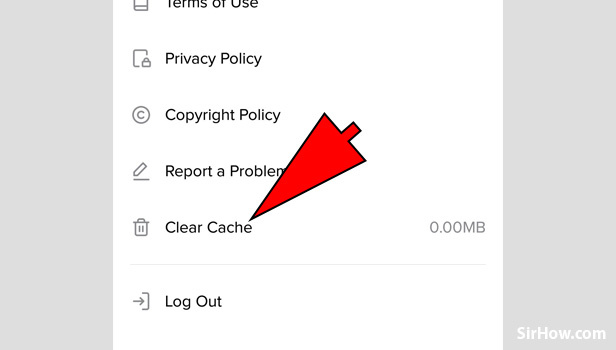 To clear cache in TikTok you have to follow the steps explained below. 1. Launch TikTok : The first step is to Launch the TikTok application from within your phone. 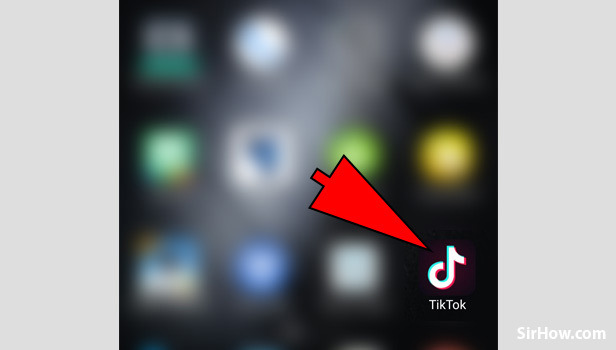 To open TikTok locate the application within your app drawer and tap on the TikTok icon once. The TikTok icon is represented as shown below. 2. 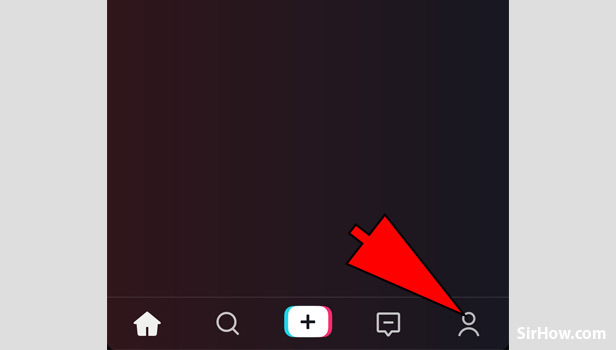 Go to profile section: By default, TikTok will open in the feed section because of which you have to go to the profile section. 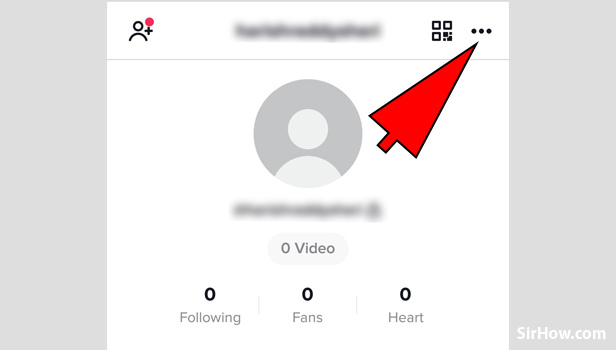 To go to the profile section of TikTok you have to tap on the person icon as shown below. Tapping on the icon at the bottom right corner of the screen will give you the profile section of your TikTok account. 3. Tap on the Three dots icon: As a result of opening the profile section of TikTok you will get the screen shown below. In this, you have to locate the Three dots icon placed in the top right corner as indicated by the arrow. This icon represents the "Options". Tap on Options once. A drop-down list will appear. 4. 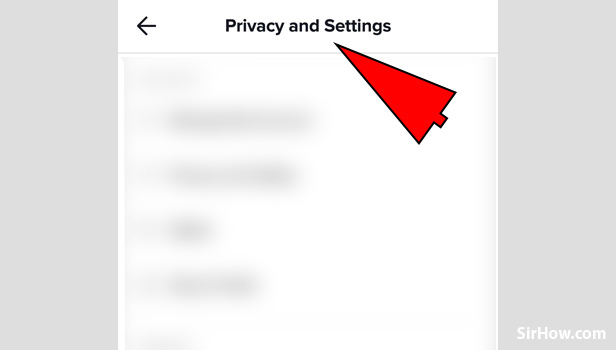 Select "Privacy and Settings": From the drop-down list that appears, you have to select privacy and settings option. As a result on tapping on Privacy and settings option, you will get the screen as shown below. From this section, you can access different privacy settings. 5. Locate "Clear Cache" option and tap on it: You will get the following screen as a result of opening the privacy and settings section. From the options, you have to locate "Clear Cache" option by scrolling through all the options. Once you find the option, Tap on it once. In front of the option, you will find the size of the cached data. When it shows 0.00MB as shown in the picture below, that is when you know your cache is cleared. Therefore a user has to follow the steps explained above in order to clear the cache. The procedure to do clear cache in TikTok is easy and simple to follow. Any user can clear cache and get a faster and better experience using the TikTok application. In this way, any TikTok user can clear cache by following the steps explained above.